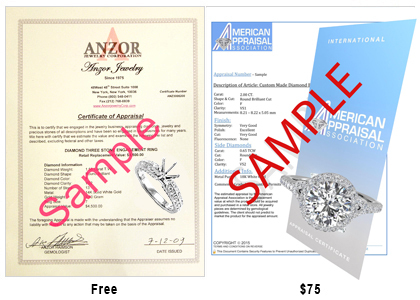 Anzor Jewelry - 14k yellow Gold Sapphire & Diamond Stud Earrings 1.30ct. 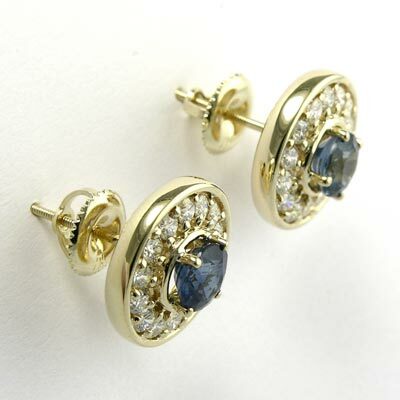 14k yellow Gold Sapphire & Diamond Stud Earrings 1.30ct. 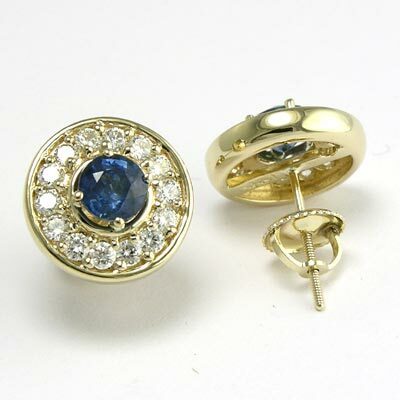 Brilliant cobalt blue tones will draw the eye to two fine quality natural Ceylon sapphires. 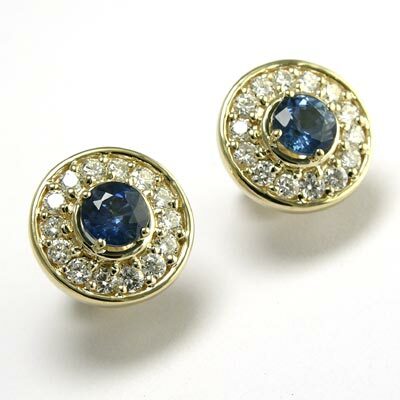 Fourteen sparkling diamonds border each sapphire in these lovely stud earrings. 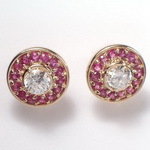 Each earring is fastened with a screw back lock for a secure closure. 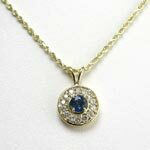 This item will be shipped within 2-3 business days after payment is cleared. 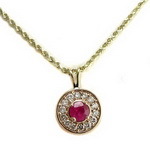 .90 ct.t.w. . 28 Diamonds. 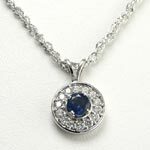 14k White Gold Diamond Sapphire Pendant .80ct.